This transitional solid wood and veneer dining table is beautifully designed with a reclaimed dark taupe finish. The 36" x 60" space allows for great entertaining and dining small or large parties. Featuring sturdy open block legs, this bold rectangular piece will make a statement in any home. 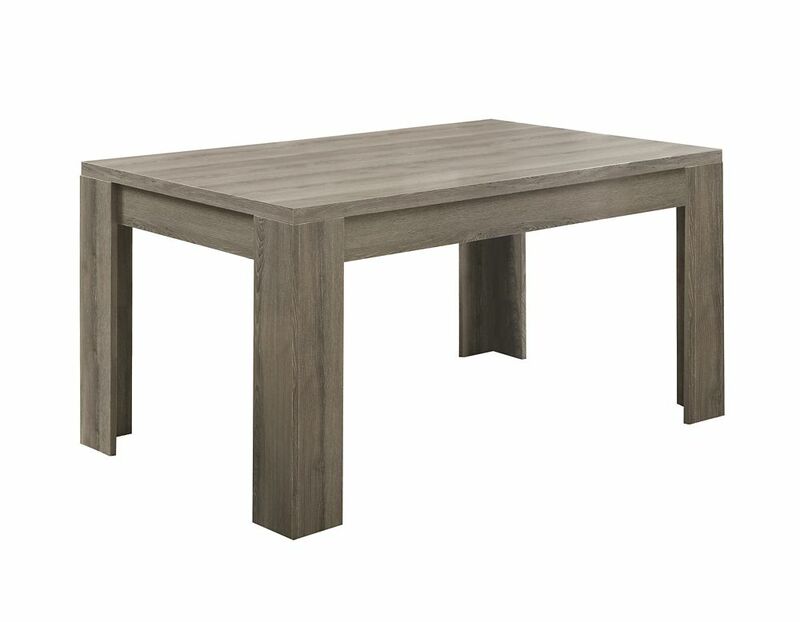 Transitional solid wood and veneer dining table is beautifully designed with a reclaimed dark taupe finish. 36" x 60" space allows for great entertaining and dining small or large parties. Featuring sturdy open block legs, this bold rectangular piece will make a statement in any home. Add comfort to your dining room with this timeless styled dining set from CorLiving. This 5pc set includes four Cream leatherette Parsons styled chairs and a matching rectangular table. The easy to wipe clean cushioned dining chairs are complimented by a matching richly stained Cappuccino table constructed of hardwood and wood veneers. This quality product offers great value, assembles with ease and will compliment any dining setting. 36-inch W x 60-inch L Dining Table in Dark Taupe This transitional solid wood and veneer dining table is beautifully designed with a reclaimed dark taupe finish. The 36" x 60" space allows for great entertaining and dining small or large parties. Featuring sturdy open block legs, this bold rectangular piece will make a statement in any home.